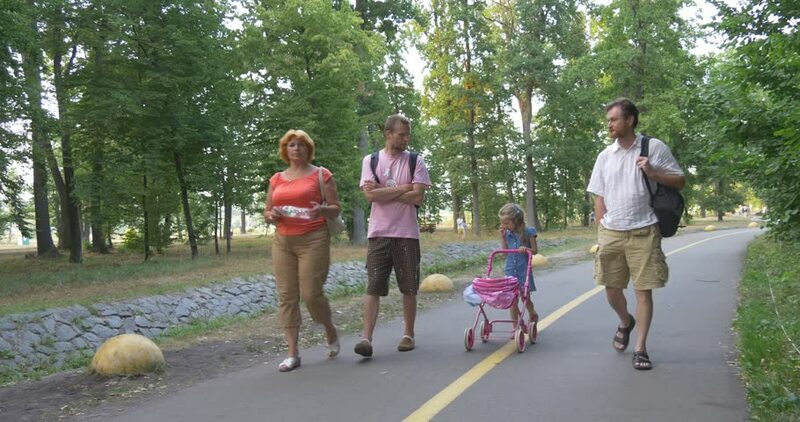 BUCHA/UKRAINE - JUL 19 2015: A family is on a holiday in a park, little girl drives a baby carriage, mid-shot, day, Ukraine. 4k00:13Group of girls is practising yoga outdoors in city park on autumn day, women are standing on mats and bending backward then forward. People and recreation concept.